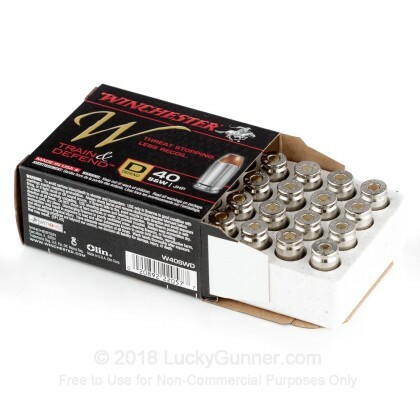 Winchester's Train & Defend Line of ammunition provides shooters with a matched pair of training and defense loads, with nearly identical ballistic properties. 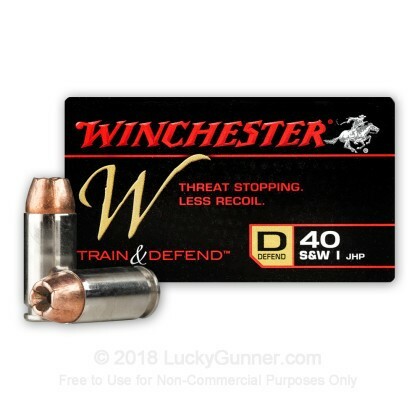 Keep your 40 caliber personal defense firearm's magazine loaded with these "D" (Defense) cartridges and feel confident that you're training will have equipped you with the identical feel and recoil as these jacketed hollow point rounds. 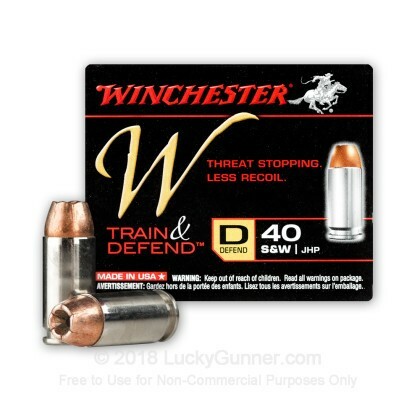 Winchester's Train and Defend ammo takes the guesswork out of knowing which cartridges to train with and defend with to best equip you for effectively defending yourself in a life threatening scenario. 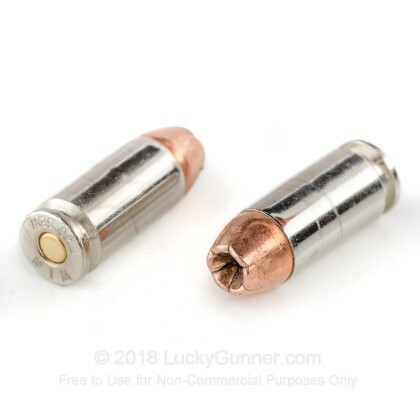 This ammunition is new production, non-corrosive, in boxer primed, reloadable nickel plated brass case. 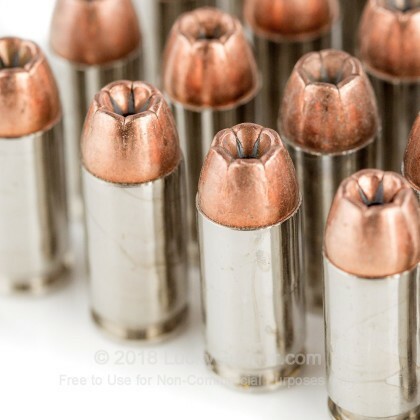 Each round is tipped with a 130 grain jacketed hollow point projectile. 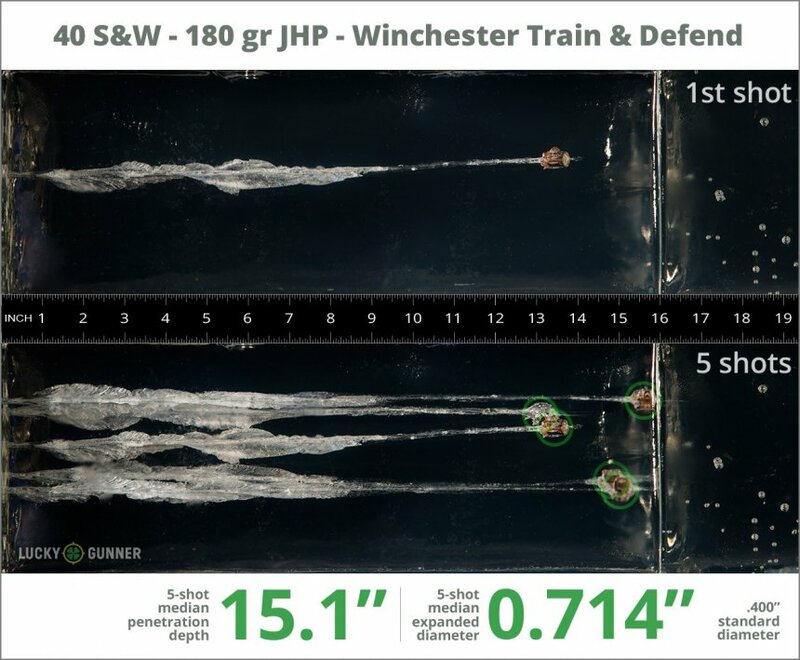 We test fired five rounds of .40 S&W (Smith & Wesson) Winchester 180 gr Train and Defend into synthetic ballistic gelatin to observe its expansion and penetration characteristics. The ammo was fired from a Glock 27 pistol at a distance of 10 feet. A four-layer barrier of heavy fabric was placed in front of the gelatin to simulate clothing. 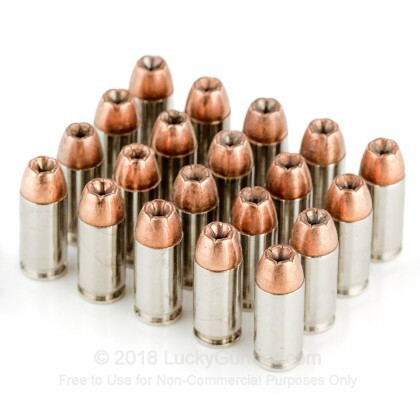 0.89" This ammo: 0.71" Min: 0.39" Median: 0.65" Max: 0.89"
15.1" 0" 9.8" 16.5" 32" This ammo: 15.1" Min: 9.8" Median: 16.5" Max: 32"